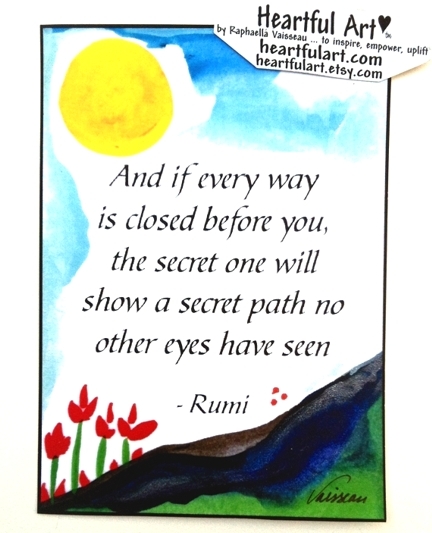 5x7 poster of Rumi quote: "And if every way is closed before you, the secret one will show a secret path no other eyes have seen" with whimsical art of Raphaella Vaisseau. Rumi's words reassure us that we are supported, loved, and guided. Similar to the idea that when one door is closed, a window is opened. Trust life. Know you are loved. Keep looking for opportunity. You are worthy.